Facing the symptoms of dengue and malaria? Now Good news for you. Treat all the symptoms of dengue and malaria using natural products. Buy Arlak Aropapa Capsules now. 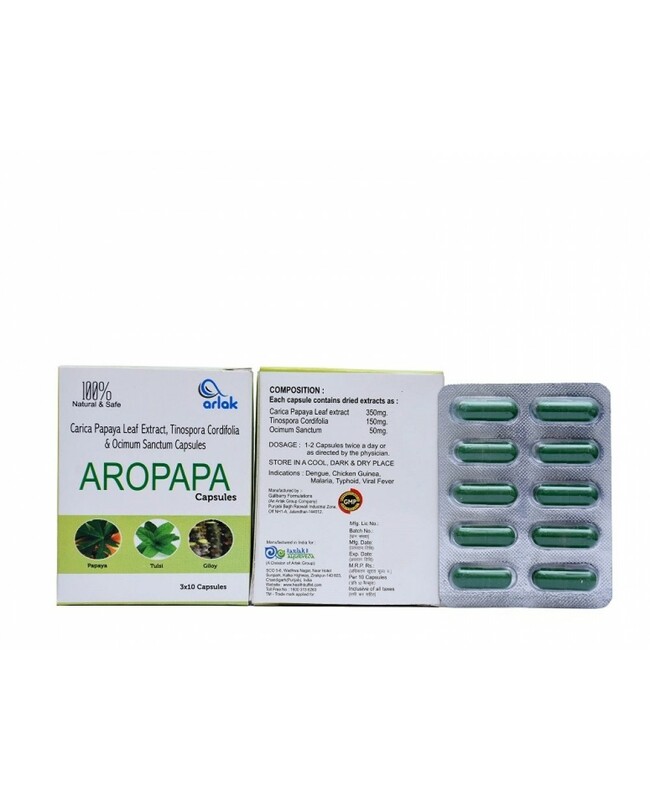 Arlak Aropapa Capsules Consist of Carica Papaya leaf extracts that contain the enzymes named chymopapain and papain which helps in boosting blood platelets. Also, it consists of Tinospora cordifolia that also helps in treating jaundice, diabetes, and arthritis. carica papaya leaf extract 350mg, tinosporacordifolia 150 mg, ocimumscantum 50 mg.